Mary H. Brown- age 96 of Daisetta passed away Friday January 18, 2019 at Oakridge Assisted Living in Beaumont. Mary was born in Call, Texas May 6, 1922 the daughter of the late William Wesley Husband and Katie Ann Roebuck Husband. Mary was a homemaker and caregiver to her parents as well as her husband. She was a devoted Christian who loved her church, First Baptist Church of Daisetta. Mary was also a past member of the Woodman of World. She was preceded in death by her parents as well as her husband Lloyd Earl Brown and a brother Jack Husband. 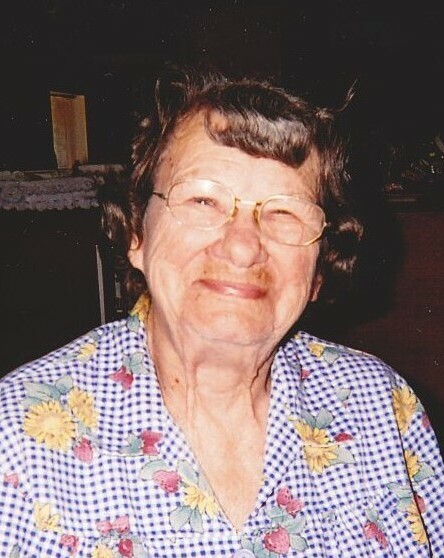 She leaves behind to cherish her memory her three nephews Wesley Ragan Husband, Ernest Jack Husband, Hayden Earl Husband, and a grandnephew Jonny Jordan. In addition she leaves her friends and caretakers Anne Richardson and Evelyn Redfern both of Hull. Funeral Services will be held 2PM Tuesday January 22, 2019 at the First Baptist Church of Daisetta. Visitation will be held from 12:30PM to the time of the service. Burial to follow the funeral service in Guedry Cemetery. Condolences and memories can be shared online at www.allisonfuneralservice.com.